MITZPE RAMON, ISRAEL–What is Will examining so intently? There was drama on the outcrop this afternoon. 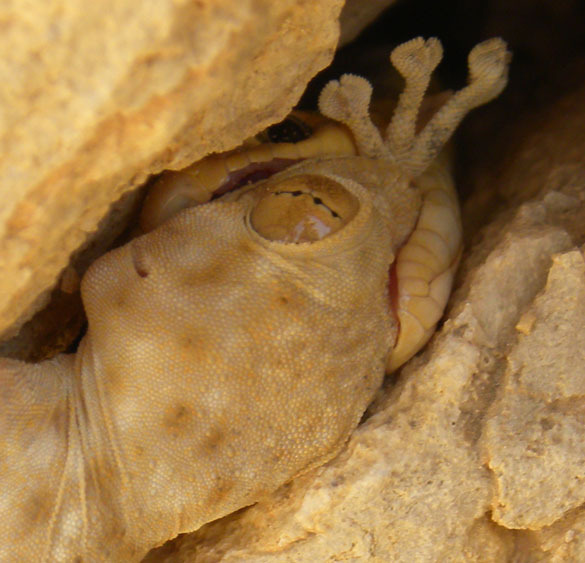 We are used to seeing cute little geckos clinging to the rocks we study. 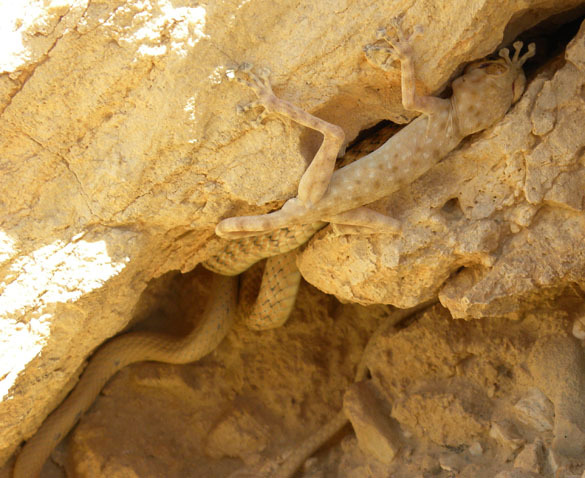 As we skirted the edge of a limestone cliff, Will saw a very long and narrow snake dash after a lizard. We all watched as the lizard dived down the rocks of the cliff, scrambling to the bottom. The snake followed its every move, catching it in a talus pile. The circle of life. You can see the snake’s coils here and a motionless lizard. Why is he holding so still in such a dangerous place? Because on closer view we see that the snake has him by the head and has started to slowly swallow him. 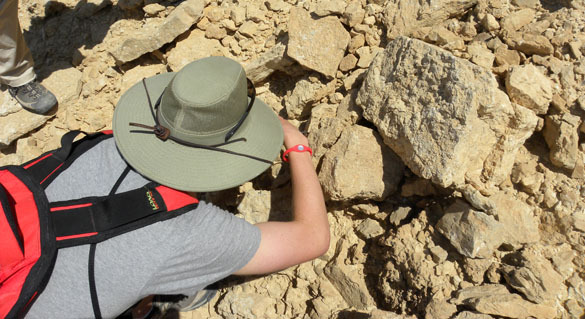 This encounter reminds me of the lizard-scorpion battle witnessed by the 2010 Wooster Geologists team in Utah. This was our last field day in Israel. Tomorrow morning, very early (4:00 a.m.! ), we start the long drive north to Tel Aviv and Ben Gurion airport. Then the long flight to Newark and then Cleveland. It has been another wonderful adventure of geology, biology and history.